We love our bus platter! It's made dinner more fun for our child and they request it now. It's also really great quality and well made. 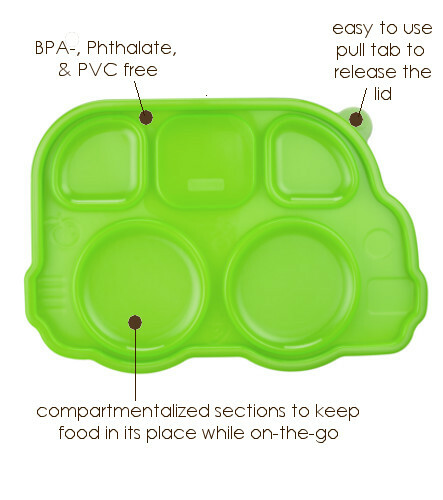 We LOVE this tray! 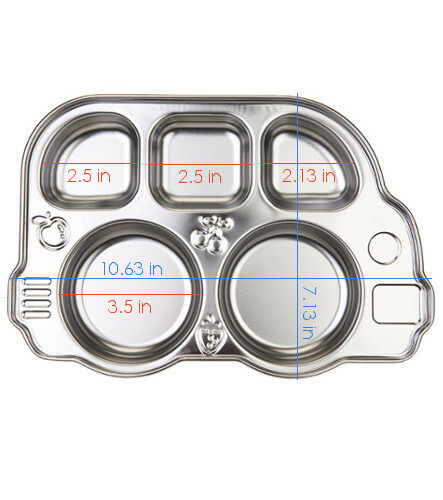 My little guy has been obsessed with anything with wheels since he could crawl and now this tray has turned my picky eater into an adventurous eater :) He is more willing to try different foods when they are in one of these separated compartments! Best purchase ever for this mama! Click the button below to add the Din Din SMART™ Stainless Divided Platter with Sectional Lid - Blue to your wish list.